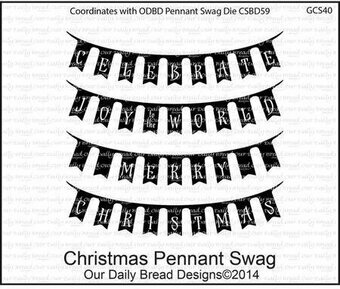 Clear rubber stamps from Our Daily Bread Designs. Features the sentiments "Imagine", "Blessed", "Believe", and "Inspire". 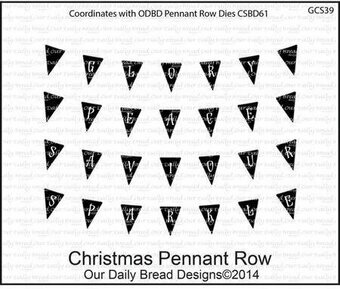 This clear stamps set coordinates with the Pennant Row Die CSBD61. Each stamps is 1" x 4-1/2". 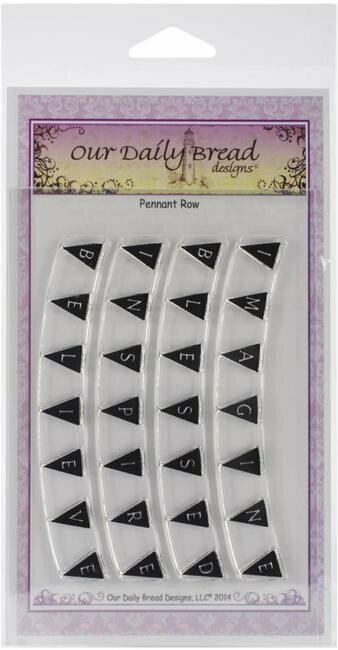 Clear stamps featuring a collection of banners. Make an impression with these beautiful Echo Park stamps! These clear, photopolymer designer stamps are of the highest quality.